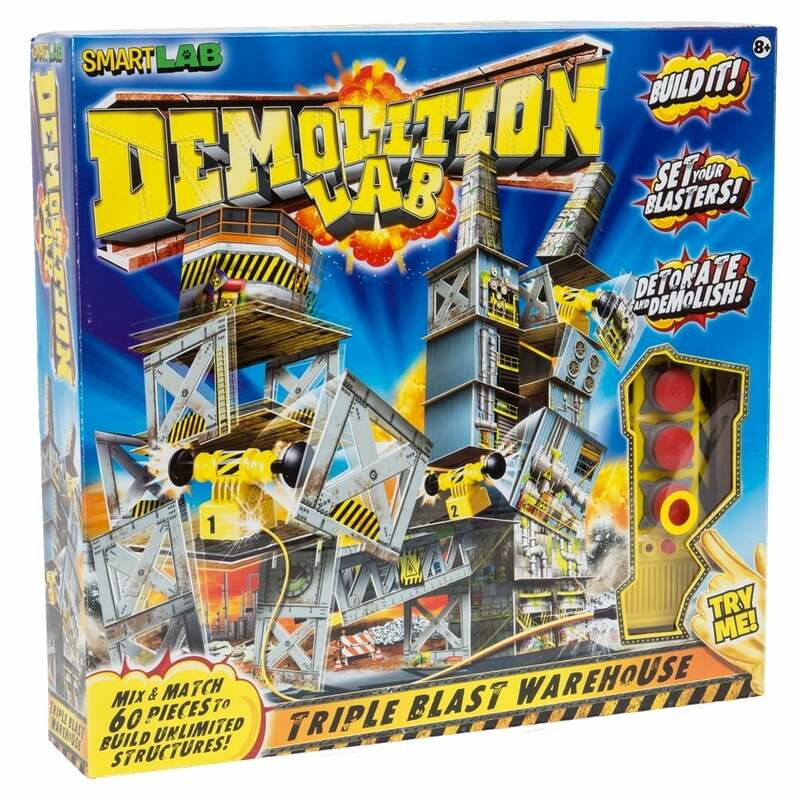 The mind-blowing Triple Blast Warehouse will let kids build unlimited warehouse structures and then demolish them with three strategically placed blasters. The mix-and-match pieces will allow young engineers to create one-of-a-kind structures, the detonator has lights and realistic sound effects. Explore the explosive principles of momentum, gravity and much more. The Demolition Lab will give hours of fun. Contents: Triple-blast detonator with sounds and 3 blasters, 36 wall panels, 17 floors/roof tops, 2 smoke stacks, 2 trusses, 2 pipe bridges, 1 storage tank, footing clips and booklet. A bit about the brand: Fun and engaging science, art and craft kits for curious and creative minds.